In 2006, adipose triglyceride lipase (ATGL) has been identified as key enzyme of mammalian lipolysis, i.e. the hydrolytic cleavage of triglycerides into free fatty acids and diacylglycerols. The lipolytic cascade is completed by the action of hormone sensitive lipase (HSL) and monoglyceride lipase (MGL) which catalyze the breakdown of diacylglycerols and monoacylglycerols, respectively. 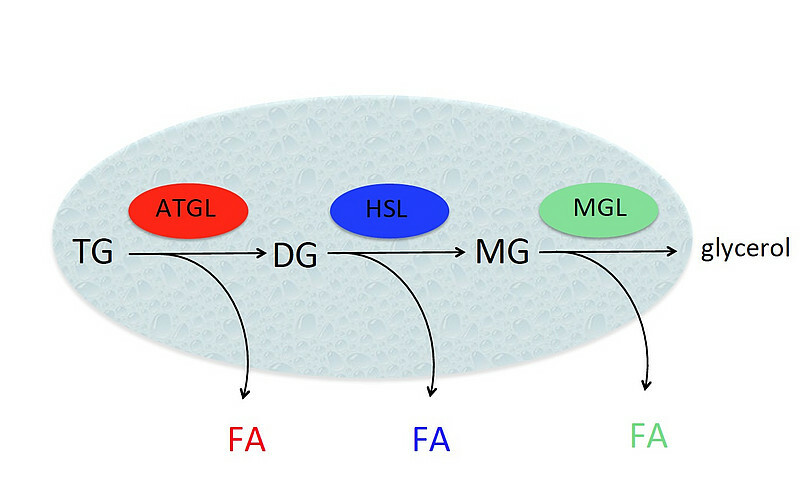 ATGL is predominantly expressed in adipose tissues but found to a lesser extent in a variety of other tissues and organs, including kidney, skeletal muscle, and heart. Systemic deletion of the ATGL gene resulted in a phenotype with massive neutral lipid accumulation in multiple tissues and cell types. 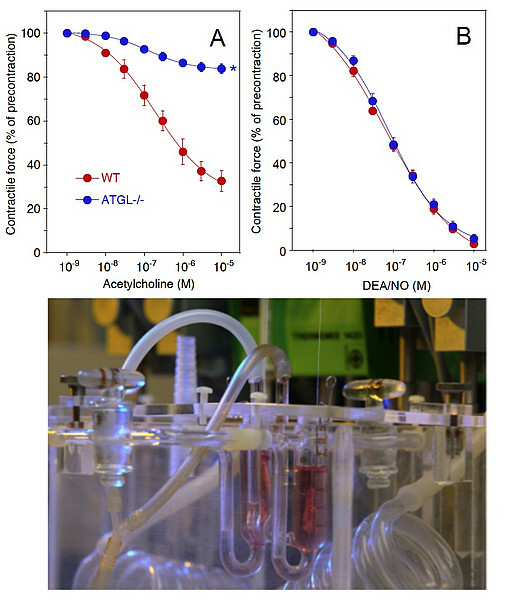 Vasomotor studies with aortas isolated from WT and ATGL-/- mice showed that acetylcholine-dependent relaxation was completely blunted in ATGL deficiency (A). 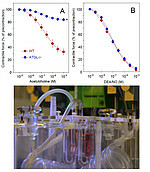 Relaxation to the NO donor DEA/NO, a compound that directly targets smooth muscle cells, was fully preserved (B).